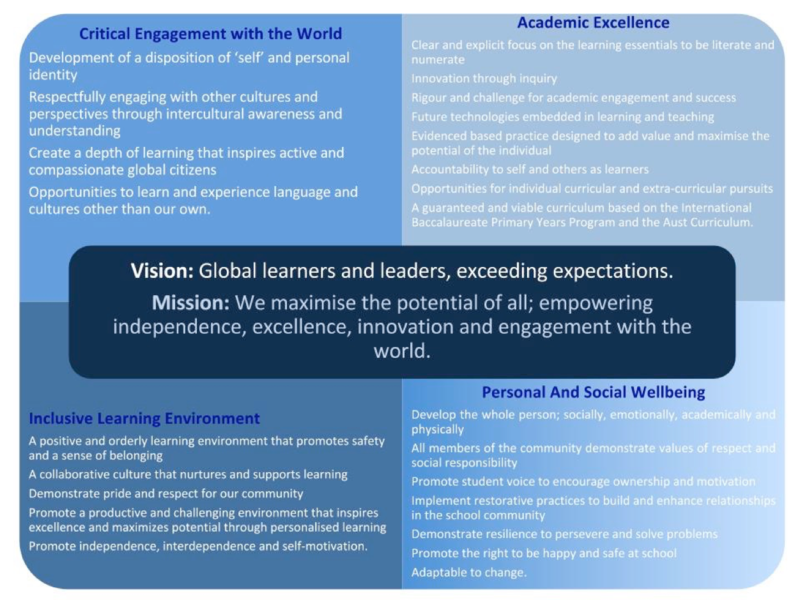 Our Guiding Statements (Vision, Mission, Tagline and Guiding Principles) were developed in 2015, and are reflective of all stakeholders in the Essendon North Primary School Community. 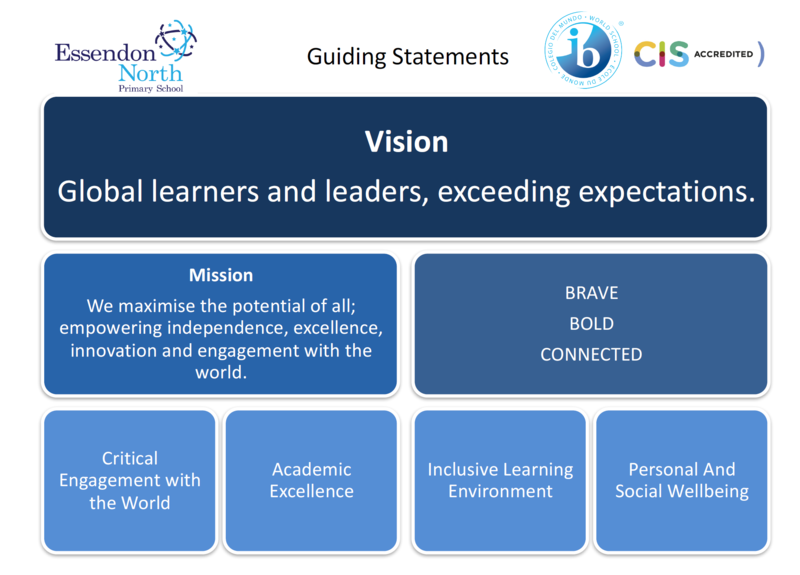 Essendon North Primary School is fully accredited with the Council of International Schools (CIS). CIS is a membership community working collaboratively to shape international education through professional services to schools, higher education institutions and individuals.